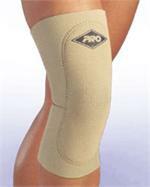 The 110 is the classic knee sleeve which spawned a revolution in the treatment of knee problems and created a whole new industry. This time-proven design is made from the highest grade 1/8” neoprene rubber featuring a nylon outer cover for durability. 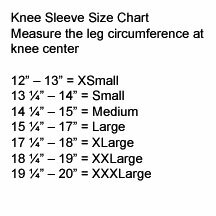 Measuring approximately 12” in length, the outer oval pad helps control sleeve stretch and fit while increasing the concentration of heat over the patella area. The 110 is helpful for arthritis, strains, and post-operative knee problems. It’s comfortable and effective. Available in beige or black, N1 or N2 material. 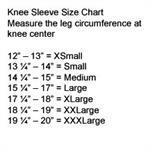 Been using the Pro Knee Sleeve for 22 years. It as saved me from a lifetime of discomfort. I wear it all the time when I walk a lot, walk up hills (Italy), or just when it hurts a lot. I swear by this, and have 5 at home, because if one tears, I still have others waiting. Of course, it never tears !!!! !